Highlighting Golfweek’s annual list of the Best Modern Courses (opened after 1960) in the United States are 19 Nicklaus Design layouts that made the expanded list of 200. Seven Nicklaus Design courses were ranked within the first 100. 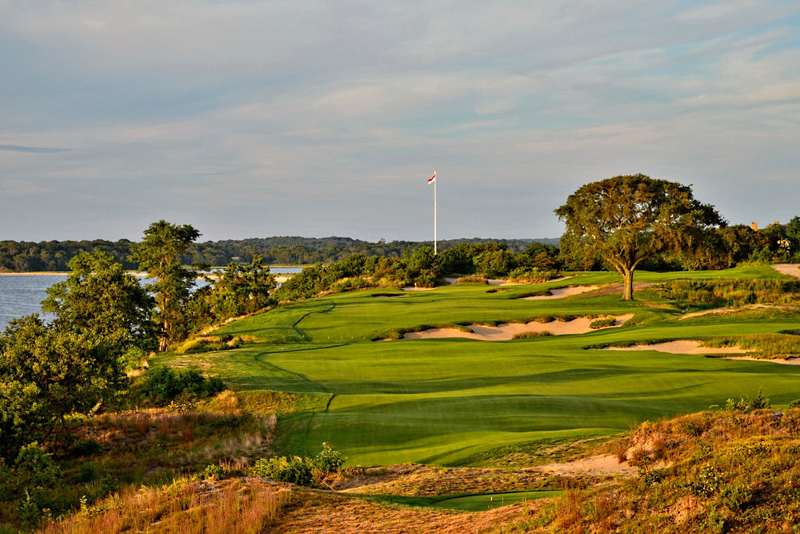 Sebonack Golf Club, a collaboration between Jack Nicklaus and Tom Doak located in Southampton, New York, ranks highest on the list, coming in at No. 7, consistent with its 2014 ranking in the same list. Rounding out the top-10 was Nicklaus-designed Muirfield Village Golf Club in Dublin, Ohio, improving two spots over last year to No. 10. Coming within the Best Modern Courses’ top-50 is No. 40 Whispering Pines (Trinity, Texas); No. 45 Castle Pines Golf Club (Castle Rock, Colorado); and No. 47 Mayacama Golf Club (Santa Rosa, California). Shoal Creek (Alabama) improved 18 spots to No. 70, and the Concession Golf Club (Bradenton, Florida), a Jack Nicklaus Signature Golf Course, designed in association with Tony Jacklin, remained at No. 80. Golfweek’s Best: Modern Courses 2015, Next 100 list includes 12 Nicklaus Design courses. Coming in at No. 104 after not being ranked on the list last year is Country Club of the Rockies (Edwards, Colorado). Valhalla Golf Club (Louisville, Kentucky), host of the 2014 PGA Championship, ranked No. 115. Spring Creek Ranch (Collierville, Tennessee) jumped ahead 11 spots to No. 119, and May River Course at Palmetto Bluff (Bluffton, South Carolina) improved 27 spots over its 2014 ranking to No. 132. Dalhousie Golf Club (Cape Girardeau, Missouri) ranked No. 142, while Manele Golf Club (Lanai, Hawaii) ranked No. 157. Others to make the Next 100 list were: No. 166 Desert Highlands (Scottsdale, Arizona); No. 168 Dismal River—White Course (Mullen, Nebraska); No. 171 Promontory—Painted Valley Course (Park City, Utah); No. 175 The Bear’s Club (Jupiter, Florida); No. 184 Pronghorn—Nicklaus Course (Bend, Oregon); and No. 195 The Club at Carlton Woods—Nicklaus Course (The Woodlands, Texas).